Sitting on my patio in Mazatlán, looking out over the water trying to spot migrating whales,* it is hard to believe how scared I was at times, especially in the middle of the night in my Denver apartment, of moving to Mexico by myself. I was not totally immune to the stories I had read. I reminded myself that I could probably avoid being killed by a drug lord more easily than I could avoid being in a McDonald's, a marathon or suburban theater at the wrong place and time. Being from rural Oklahoma, I have always envied my friends from larger cities classical education from private schools. "You took Latin?" I moaned in envy. I missed so much of the poetry and literature that inspires and sustains them their wholes lives. The references they can appreciate because thirty years ago a teacher made them write an essay on Homer's Iliad. One of those poems that I only recently surfaced and inspired me in my unconventional new life in Mexico was “Invictus." Sure, I was familiar with the closing lines, but (I’m deeply embarrassed to admit this. I hope my better-educated brethren aren’t reading this blog) I had never read the whole poem until I heard the thundering final stanza in an Xbox commercial of all things. This magnificent poem applies to every single one of us, male and female, at every stage our lives. For those of us in middle age who have weathered life’s storms, I think it's especially powerful (although it was written by William Ernest Henley at 26 years-old while recovering from having his leg amputated). The poem reminds us that we must forge ahead in creating our lives and determining our own fates in spite of “the bludgeonings of chance.” It speaks directly to ultimate self-mastery and facing fear unflinchingly. Part of self-mastery is overcoming fear of change and fear of the unknown. You can't have a dynamic future without elements of change and the unknown. His captain’s metaphor conjures up images of being on the bow of your own ship, heading majestically towards a new horizon, regardless of the current weather. Moving to another country, even part-time, is much like that. The biggest obstacle to overcome is simply inertia. Just because your life is comfortable doesn't mean that that you've mastered your fate. I could have continued living a comfortable life for a number of years. Mastering your fate to me seems to dovetail into our human potential, for happiness and self-actualization. Mastering my fate as an American over 50, I had to look at what might fate might be if I made it to old age at the mercy of the U.S. healthcare system. The costs are far outpacing income growth even as the mortality rate in the U.S. has declined for the second straight year. This is no time to stick your head in the sand. What would that mean to you as a 65 year-old in 10 years? Rocky shoals ahead. Captains of ships don't say, "Let's just wait until we hit something, then we'll figure out what to do." When entire systems are broken, they take decades to fix. You can wait around until your ship gets pulled under or act while you still have the energy and resources to plot a different course. What is your quality of life going to be like based on your current assets. Adjusted for inflation, Americans don't make substantially more money than they did in the seventies. Yet prices have gone up in all categories. The only remaining havens in the U.S. will be in small towns. If that life isn't for you, you are going to continue to see the squeeze in the cost of rent, housing and food continue. Will the middle class as we knew it, its the wide, majority swath of people who can afford to purchase homes, educate their children and who don't lay awake at night worried about the cost of a loved one getting sick coming back? Maybe. Not in your lifetime though. When I left a job once, a board member told me that whatever I did, he believed I'd live life on my own terms. I was flattered, mistaking that to mean getting what I'd want. I couldn't have been more wrong. Being the master of your fate, deciding what you're willing to accept and what you're not has a price. The price can be very bloody high. Sometimes it means accepting you're different and acting on it when it would be so damn easy to sink into what other people do. It's very hard to move into unfamiliar waters when you are content in the shallow end. But as John A. Shedd famously said, "A ship in harbor is safe - but that's not what ships are built for." Women in particular need to take the helm of their ships, as tempting as it might be to wait helplessly out to sea and hope that someone or something will come along and tow them ashore. Everyone has the potential for reinvention, and in the process gaining both the satisfaction of being captain and the camaraderie of lively, age-less shipmates who can support them in the journey, like the ones I found. Many of the people I have met in Mexico embody resilience, independence and the spirit of adventure long gone in a majority of middle-age people. They took a look around, swallowed their fear and decided to abandon safe harbors and set out for ports of their own choosing. Will you be one of them? *There are only three places in the world where gray whales give birth to their babies, and all three are in Baja. The whales leave California for the place of their birth for Mexico on the longest migration made my any animal. Most recent: Sojourns are a time-honored method for healing and renewing after a divorce. 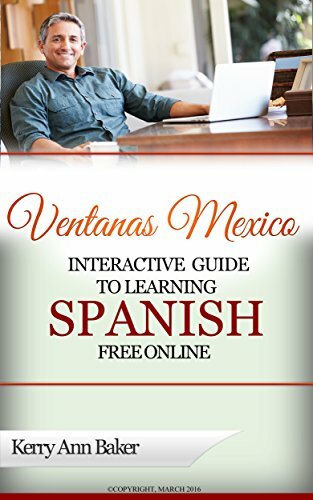 Hola, I am a partner with Ventanas Mexico and author of the "Interactive Guide to Learning Spanish Free Online," a curation of the best, undiscovered Spanish language tools on the web, linked and organized into lesson plans. Get the most out of expat life, stay safe and save money by learning Spanish. The time to start is before you leave port. Use your laptop, e-reader or tablet to study from the U.S. or Mexico. 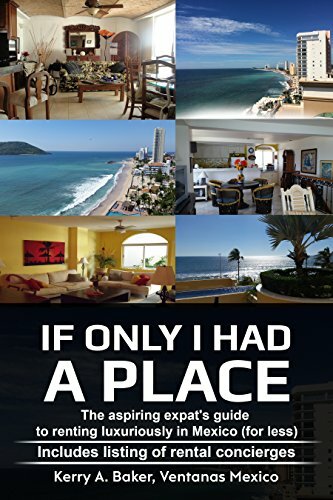 Check out the new book on renting luxuriously, written for expats "If Only I Had a Place.